First quarter profit of automaker Volkswagen increased 19% because cost cutting improved profit margins and also its namesake brand and European auto sales show a modest improvement. Net profit climbed to 2.93 billion euros in the January-March quarter. Efforts of Volkswagen AG to decrease costs had saved over 100 million euros in the quarter alone at the Volkswagen brand and raised the profit margin to 2.0% from 1.8 %. The brand gained ground in Britain, Spain and Germany during the quarter. According to experts, European auto sales in general are improving gradually as the economy is showing strength after the crisis over high government and bank debt in the 19 countries that use the euro currency. After the steering committee's decision to back current CEO Martin Winterkorn over Ferdinand Piëch, VW chairman and patriarch of the Porsche family, Piëch has announced his resignation. Piëch along with the Porsche family controls 51% of the VW Group, which is the second largest car maker in the world. Earlier this month, Piëch was quoted as saying that he had ‘distanced’ himself from CEO Winterkorn, and has brought into public a row over the levels of profits within the VW Group, and its failure to make inroads in to the American market. In a big step for the company, the VW steering committee has decided to back Martin Winterkorn as the ‘best possible CEO for Volkswagen’ over Piëch’s move to have him replaced. The traffic safety regulator in the US, has indicated that it has launched an investigation into Volkswagen SUV over complaints that its exterior lights failed unexpectedly. The National Highway Traffic Safety Administration said on Friday that it is opening investigation into the 61,000 Volkswagen SUV over complaints that the exterior lights of the models have failed. NHTSA announced that it is investigating the 2009-11 VW Tiguan after it received 26 complaints of a partial or complete loss of the vehicle's exterior lights including headlights, taillights and turn signals. The Indian unit of German auto maker, Volkswagen has announced the launch of much anticipated Polo GT TSI in the Indian market. The company will offer the new model with both petrol and diesel engine options. The company says that new model will come with more powerful 7-speed Direct Shift Gearbox (DSG) offering improved fuel efficiency. The new 1.2 litre TSI petrol engine will allow the car to speed up from 0 to 100 kmph in just 9.7 seconds and attain a top speed of 190 kmph. German carmaker, Volkswagen has indicated that it is planning to launch its new Polo GT model in the Indian market on 25 April, 2013. The Polo GT will feature a body kit that is similar to Polo SR and will be powered by 1.2-litre TSI motor with a powerful combination of direct injection and turbocharging providing a power output of 105bhp. The company will offer impressive DQ200 seven-speed DSG transmission with the engine for the vehicle. 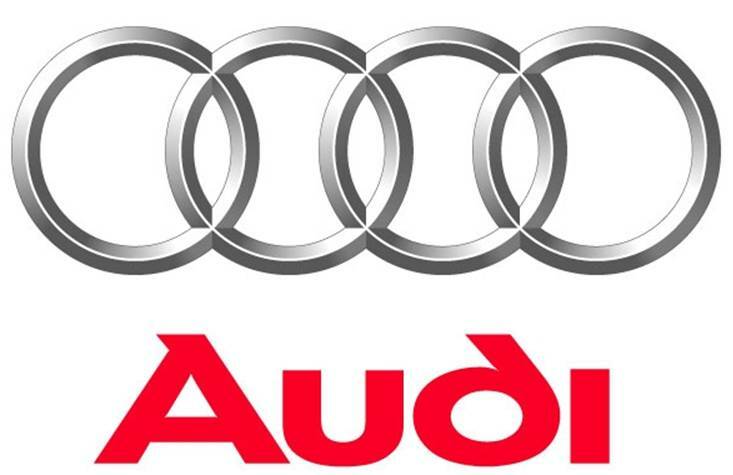 German automaker, Volkswagen might be planning to recall a total of 384,181 vehicles in China due to an issue with the gearbox. China's quality-control agency said that the company will recall 384,181 vehicles that were sold in the country to address the issue with the gearbox of the vehicles. The company’s joint venture unit in China will begin the recall on April 2 of the vehicles that were manufactured or imported into the country between December 2008 and March 2013. London, Mar 7 : German automobile maker Volkswagen’s new XL1 diesel-electric hybrid can cover the distance between London to Leeds in just 4 pounds worth of fuel. The 800cc engine can take the aerodynamic motor from 0-62mph in 11.9 seconds and its top speed is 99mph, the Sun reported. Volkswagen spent 1 billion pounds over 15 years to make it as light as possible to improve fuel economy. The body of the hybrid car is carbon fibre reinforced plastic and the windscreen is the world’s thinnest. German automobile giant, Volkswagen has announced the launch of its new the Polo SR for the Indian market. The new model will be powered by a 1.2L petrol engine, which is capable of producing 75 PS of power. It comes with 5 speed manual transmission system and the company claims that model will offer a mileage of 16.27 kmpl. VW Polo SR hatchback will come with an Aero Sport package including front, rear and side under skirting, rear roof spoiler, 15 inch alloy wheels and chrome exhaust. In a new achievement for the German carmaker, Volkswagen Gol has surpassed its rival Maruti Alto to become the bestselling car in the world during 2012. Maruti Suzuki India Limited sold a total of about 286,833 units of Alto in India. On the other hand, Volkswagen managed to sell 293,293 models of Gol in Brazil, which is another fast growing auto market in the world. Fiat Uno came in the third position with 255,838 units sold during the entire previous year. Despite new launches and steep discounts, Indian carmakers suffered a decline of 8.25 per cent in domestic car sales in November. Maruti Suzuki, the biggest car manufacturer of India, launched its Alto 800; while Chevrolet, Ford, Toyota and Volkswagen launched refreshes and variants of their various models just ahead of the festive season of Diwali. They also tried to allure customers with offers of 5-10 per cent discounts on most models. But, all these efforts failed to bring cheers for Indian carmakers. 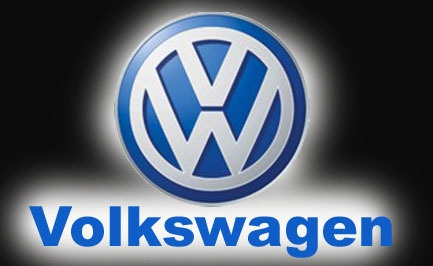 Beijing, Jan 13 : Volkswagen China said Friday that its auto sales rose 17.7 percent year-on-year to hit 2.26 million units in 2011. The figure was 3.4 percentage points higher than the global sales growth of the Germany-based Volkswagen Group, making China the company's largest overseas market for the third straight year. The growth was bolstered by strong performances by the company's two Chinese joint ventures -- Shanghai Volkswagen and FAW-Volkswagen, reported Xinhua. Automaker, Skoda is planning to start exporting some of its models manufactured in India, beginning with the new Rapid sedan that is scheduled to be launched next month. Skoda Auto India, which is a unit of the Volkswagen, is hoping that Rapid, which will hit the Indian market on November 16, to become the best selling model ahead of Fabia. The unit will be sold mainly in the Indian market. German automaker, Volkswagen has announced the pricing details of its upcoming ‘Volkswagen up!’ model. The car will come with a starting price of £7,995 while the limited edition flagship models will cost £11,180. The Up! Model, which was first revealed at the Frankfurt Motor Show, will be available with a choice of three 1.0-litre, three-cylinder petrol engines. The car will come in three trim levels including, Take up!, Move up! and High up!, while there are two specials edition, the up! black and up! white. EcoVelocity, an event focusing environmentally-friendly motoring, will begin at one of London's most iconic landmarks, Battersea Power Station on 8 September. The event will mostly include several electric and hybrid modela. However, viewers will be able to other models as the organizers claims that the event is about "real-world cars for real-world motorists." German auto maker, Volkswagen has released its new 2012 Beetle model with a tougher exterior and a more powerful engine. The earlier Beetle model, which was released in 1998, did not perform well in the market due to lackluster dynamics. The car was seen as an outdated model after the release of rival BMW’s MINI in 2001. However, with Golf MkVI underpinnings, the model will be able to compete better in the market. After China, India tops the list of being the fastest growing automobile industry. India is known as a hub by the automakers for the small size cars and the best growing market where the demand for the affordable cars keeps on increasing with each passing day. Keeping good knowledge about Indian automobile industry, Volkswagen has a newest plan of a small car for India, for which it has now even started working out a pricing strategy. Till date, we have only one small offering from Volkswagen i. e. VW Polo hatchback.